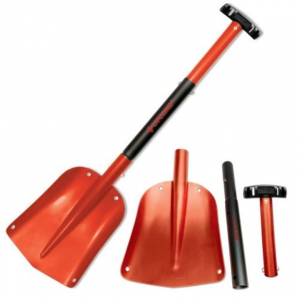 MSR Avalanche Safety Responder Shovel 3158. 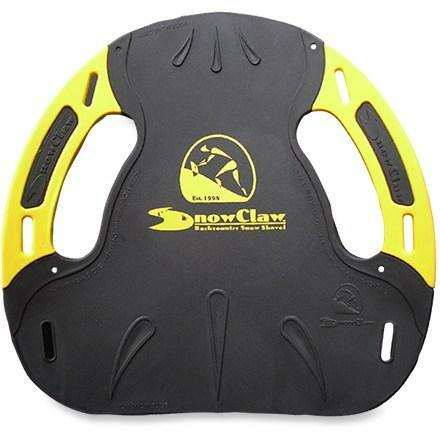 Its serrated leading edge and exceptional durability withstand cement-like avi debris. 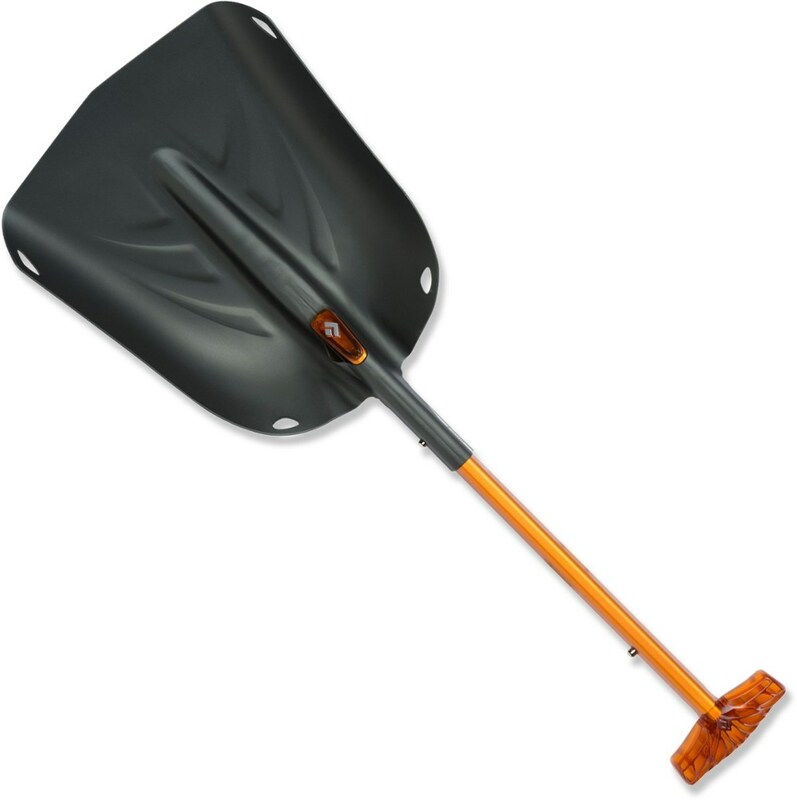 And its straighter geometry excels in paddling snow quickly during a burial rescue making this shovel the choice for your rescue kit. 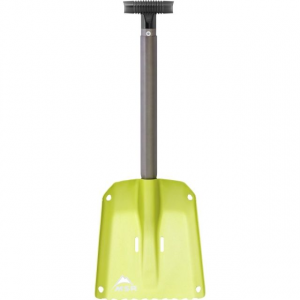 MSR designed the Responder Snow Shovel for uncompromising strength and optimized ergonomics. 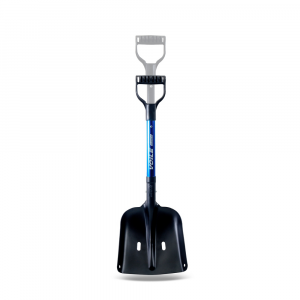 The result is a shovel capable of cutting through cement-hard avalanche debris and a shovel that lets you dig snow pits without hunching so far over that your back hurts. MSR built this puppy out of lightweight 6061-T6 aluminum, giving it an aggressive serrated leading edge perfect for getting through hard snow quickly and a flat back for shaving smooth snow pit walls. The compact blade and low-profile T-handle make this thing extremely packable. 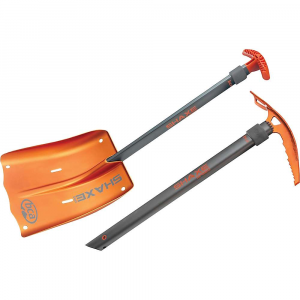 The MSR Responder Snow Shovel combines strength, aggressive performance and efficiency with an ultra-compact, packable blade for backcountry touring, rescues and snow science. The MSR Responder shovel's ultra-compact blade features a reduced scooping angle for ultimate packability in a small touring pack, and a flat back for shaving smooth snow pit walls during snow science. Its serrated leading edge and exceptional durability withstand cement-like avi debris. 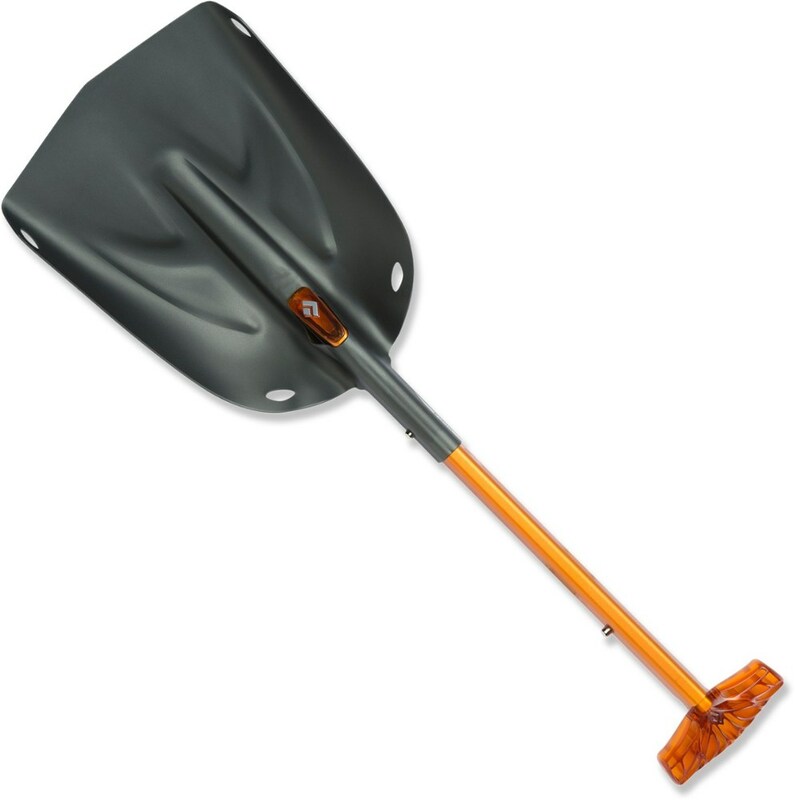 And its straighter geometry excels in paddling snow quickly during a burial rescue, making this shovel the choice for your rescue kit.